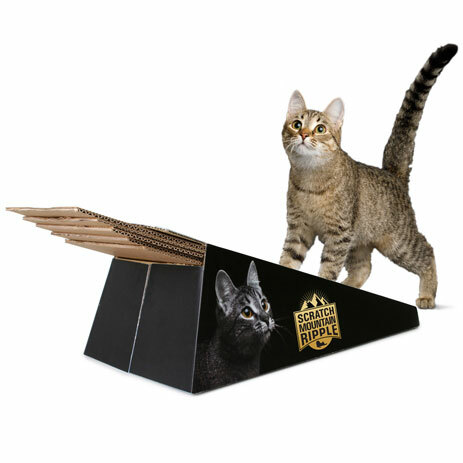 The Scratch Mountain Ripple is a refillable, angled Scratch Box. 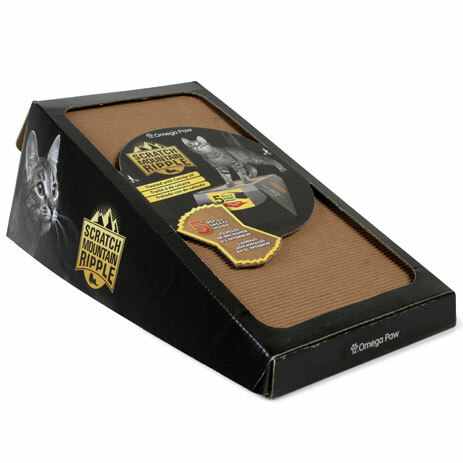 The base holds the cardboard scratching pad at a comfortable scratching angle. You can replace the worn-out cardboard with the 5 refill sheets. Treated with organic catnip oil.